At the Qualcomm Snapdragon Technology Summit 2018 OnePlus announced that its next flagship will be powered by the Qualcomm Snapdragon 855 Mobile Platform and the company will release a commercial 5G smartphone with carrier network EE in the UK in 2019. Earlier this week it announced that it will showcase its first 5G prototype smartphone at MWC 2019 next week. 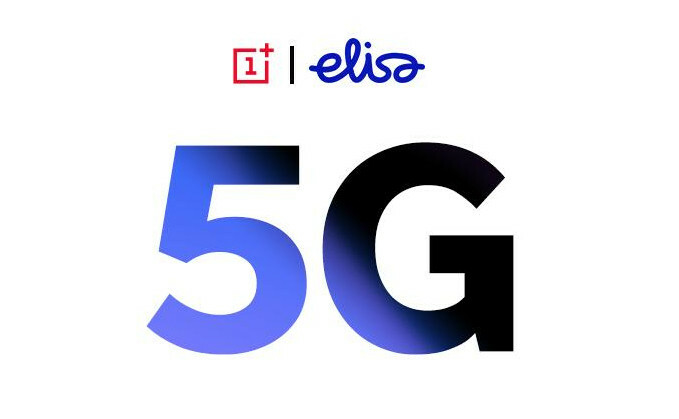 Today the company has announced a partnership with leading Finnish telecommunications network carrier Elisa to launch a 5G device during the second quarter this year, making it among the first 5G devices in the Finnish market. Elisa was OnePlus’ first-ever carrier partner, and OnePlus has been the best-selling device for the last 26 months. Elisa will also be amongst the first to launch a commercial 5G network in Finland 5G network since it has 5G-ready networks in Tampere, Jyväskylä, Turku and Helsinki in the city centers, and is building 5G networks in different parts of Finland. 5G is a revolution which can bring change far beyond the technology industry, for people everywhere, for everything from gaming through to mixed reality apps, healthcare, and much more. We’ve worked hard to lead 5G innovation as this new era starts, working closely with partners like Elisa to create something special. 5G is the catalyst which allows us to reimagine the future. Elisa has one the most developed networks, and we started building 5G network among the first in the world. We want to offer our customers the best possible devices to enjoy the benefits of 5G. OnePlus is a good and natural partner to us, they offer an excellent operating system and devices that are for example great for gaming. 5G’s improved speed, better latency, and increased capacity unlocks a new world of possibilities. Cloud gaming will become a reality with high-end graphics delivered by a combination of cloud computing and device-side processing – high quality gaming will no longer be limited to your home or on expensive laptops/consoles. Combined with powerful OnePlus devices, people will be able to play advanced games on the fly with the power of 5G.